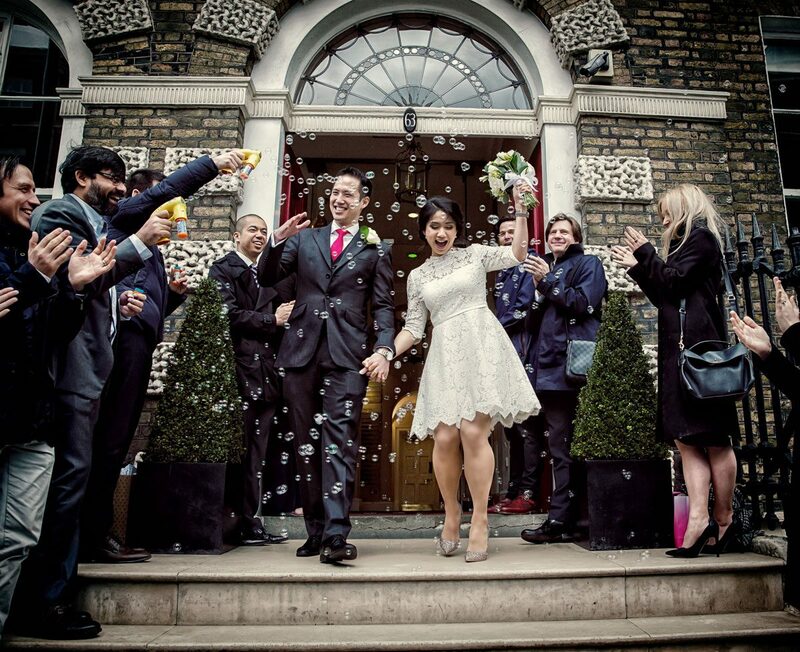 Wedding Confetti, where did it come from, and where is it going? Throwing it out there! When anyone thinks about a wedding day invariably thoughts of confetti throwing probably figure somewhere in their imagination. 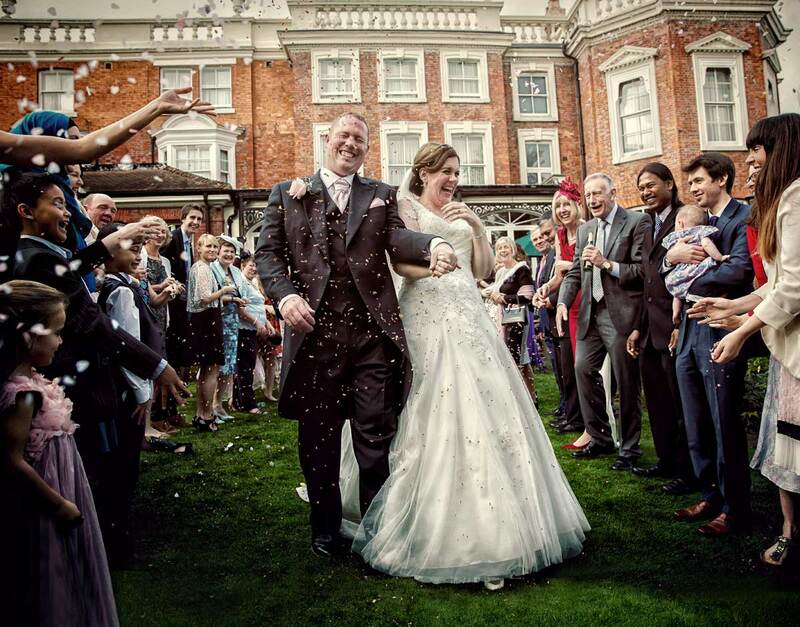 Confetti is so iconic that it has become traditionally woven into the fabric of a wedding day. 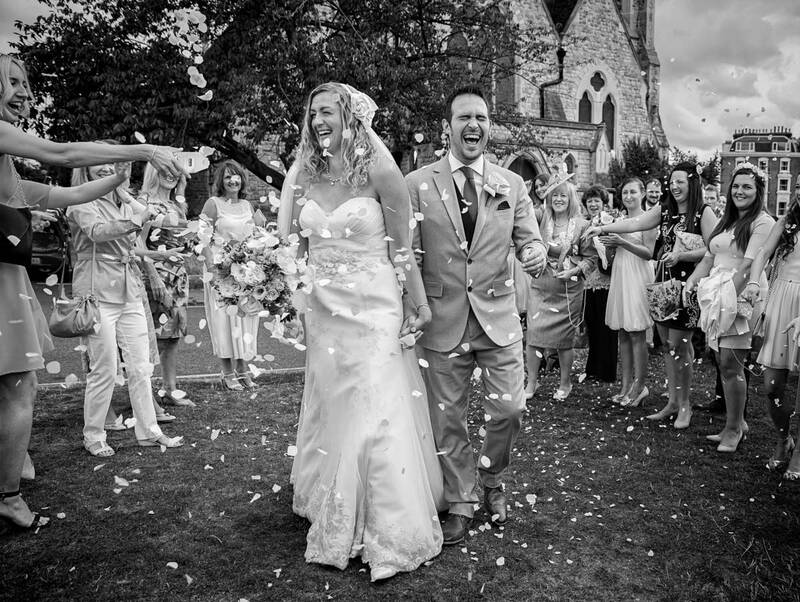 No wedding album or these days a collection of images on DVD or USB, is complete without a photo of a wedding couple exiting a church, registry office or specially licensed venue being showered in confetti by their friends and family. 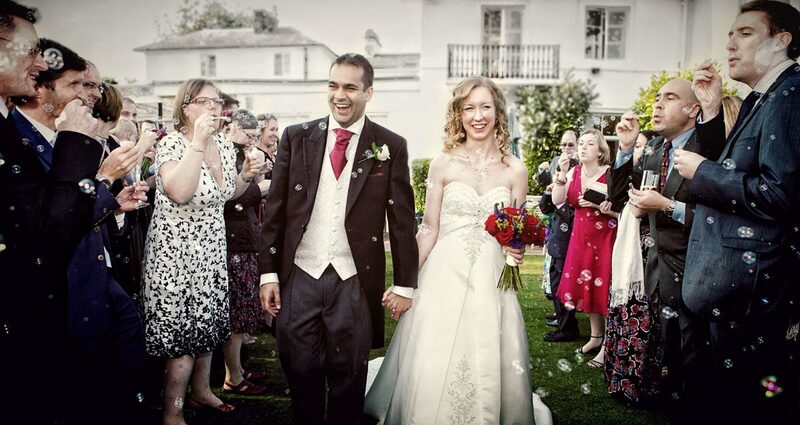 For a wedding photographer it is one of those images that they must under all circumstances get right and deliver. But where does this ritual come from? 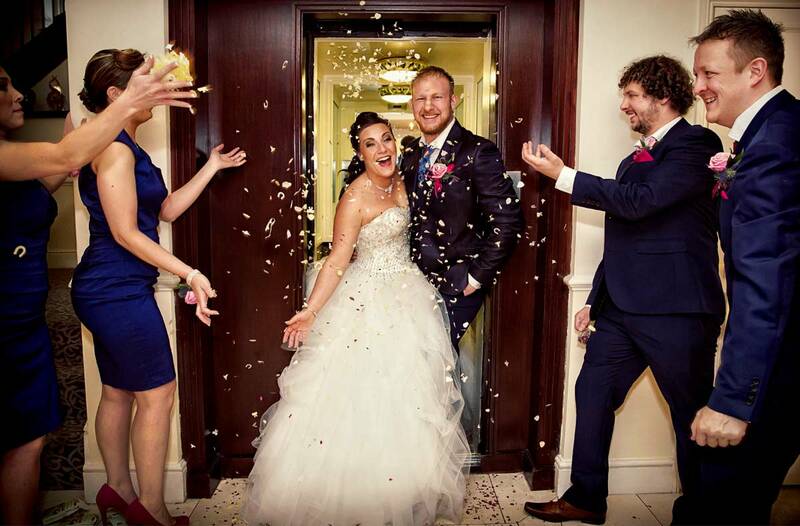 Why does a newly married husband and wife walk through a corridor of excited people, and get large amounts of coloured paper or dried petals thrown all over them? I’m sure if aliens came down to earth for a quick peek at the customs of humanity this particular one may well confuse them! And take it from us they will be pulling bits out of their hair and clothing for hours afterwards. The word itself comes from the Italian “confetto” which basically means small sweet. Why throw small sweets at newly weds? Well through the centuries in Europe it became something of a ritual to throw objects at parades, gatherings and celebrations generally. Unfortunately what was thrown wasn’t always very palatable or celebratory! For example mud balls and eggs were often lobbed, as well as more palatable examples such as small candles and sugar sweets. In Italy confetti (almond based sweets) are often given at weddings as a good luck gesture for the fertility and enhanced family producing chances of the newly wedded man and wife. In 1875 Enrico Mangili from Milan invented a paper version for throwing at the yearly Carnevale di Milano. The British towards the end of the nineteenth century adopted the paper idea, along with a variant in rice, as a symbolic celebration gesture at the end of wedding formalities. Hence the now almost universal confetti throw. 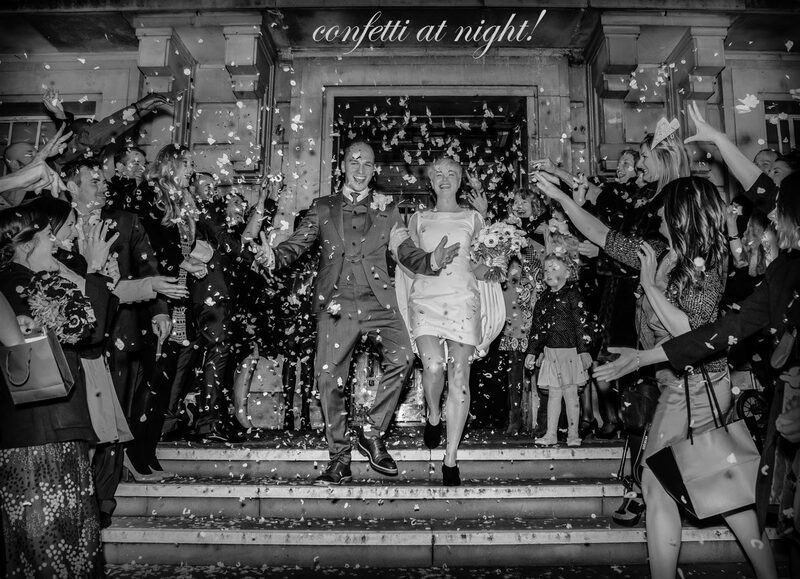 As London wedding photographers we have seen confetti thrown inside and outside of buildings, day times and evenings, and even as a couple emerged from a hotel lift, as there were restrictions on throwing anything outside of the premises. 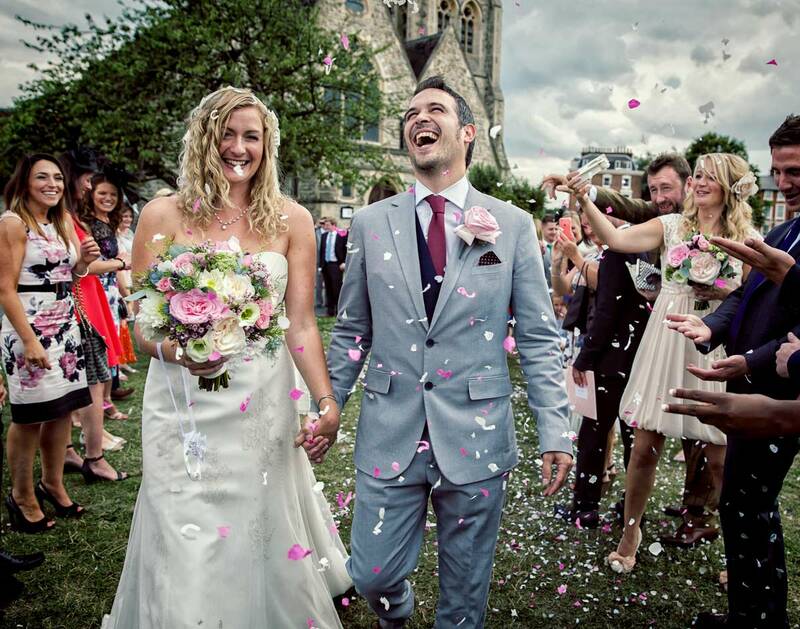 In fact many churches in the United Kingdom now ask that couples either do not throw confetti at all, or do so on council controlled land just past their boundaries. The reason being, quite simply they want the borough council to clean it up and not themselves. Smart! 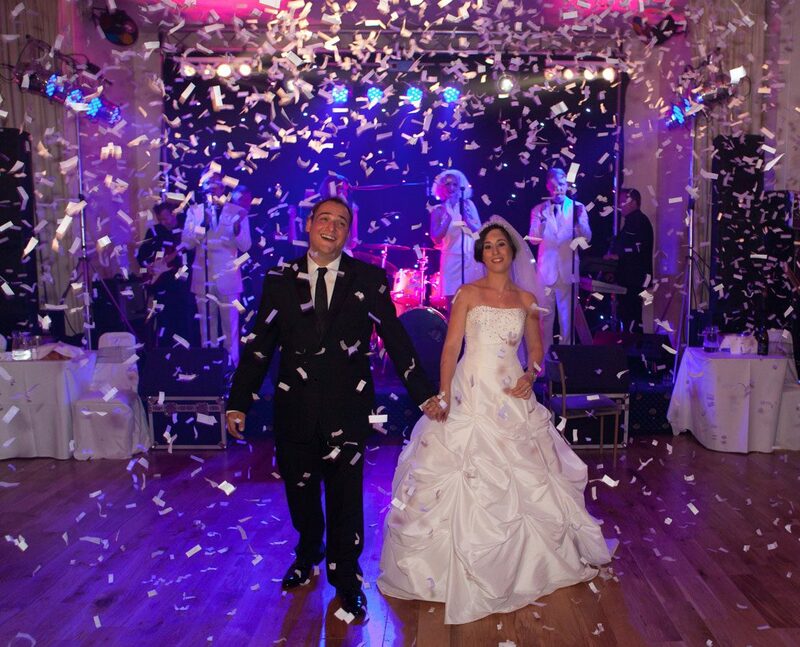 Many establishments also require that if confetti is to be thrown that it be in a biodegradable form, the most usual of these being freeze dried flower petals. 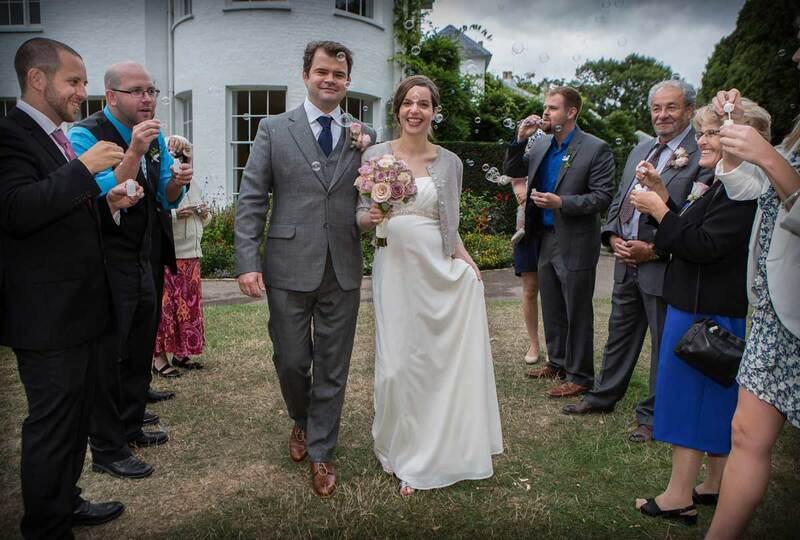 Another way to celebrate a couples new marriage, using the spirit of confetti, but not the associated clean up or restrictions, is for the wedding party to blow bubbles. 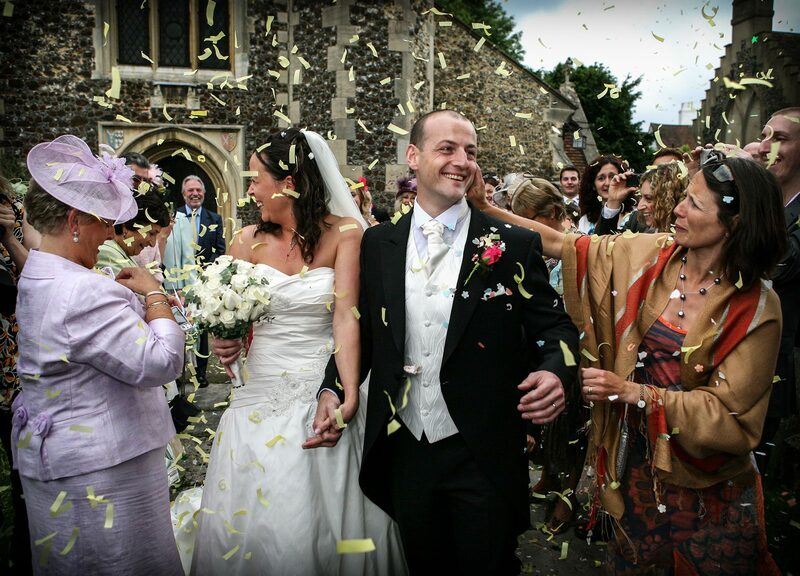 And as with other mentions of the many variations that confetti takes within a wedding day, we have included some photographic examples shot by ourselves. For the blowing of these soap bubbles the official wedding party will hand out small tubes filled with detergent filed water and a plastic ring to blow through. 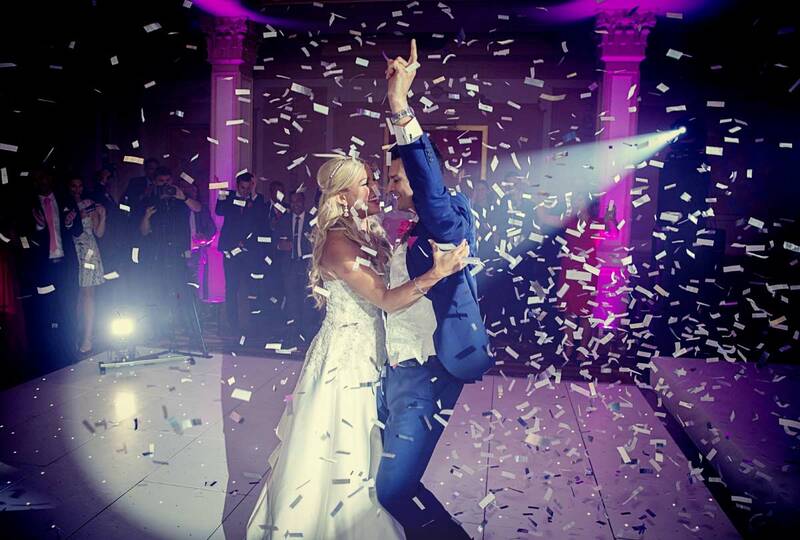 Another very popular time to release the confetti canons or bubble machines are at the point where the newly “hitched” bride and groom first dance on the evening of their reception. This usually takes place in front of all their friends and family gathered around them to either a DJ spun piece or a live band. First dance itself of course is another enduring wedding tradition that deserves an article in it’s own right. As a footnote, as the uses of confetti become ever more varied, we will keep this article updated with new examples. 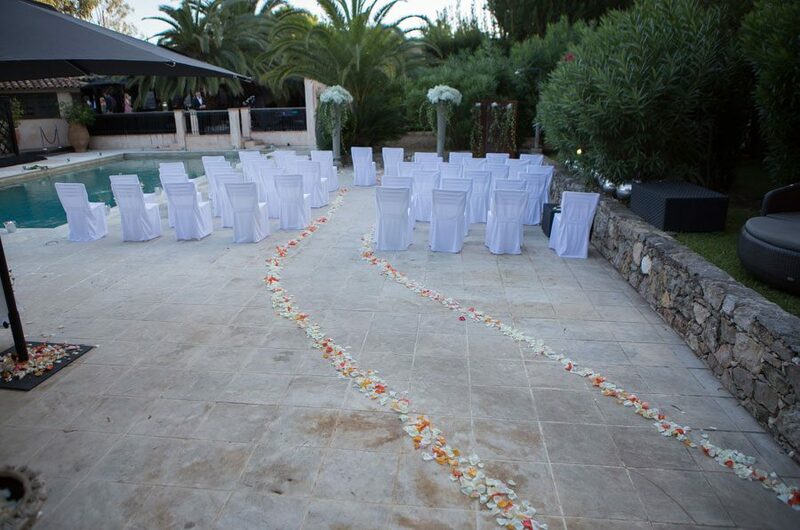 Of course we don’t even need to throw confetti anymore, we can even lay it on the ground and create a pathway to love as is shown in the image below of an outdoor wedding we photographed in St Tropez Southern France.